Stephen Miller: Trump Is The Most Gifted Politician Of Our Time And The Best Orator In Generations [VIDEO] - Joe.My.God. “President Trump is the most gifted politician of our time and the best orator to hold that office in generations. He’s been right, they have been wrong, but there is no doubt, there are segments of the extreme media, and I wouldn’t call it mainstream, it is extreme to want to have unlimited cheap migration. These are extreme positions. 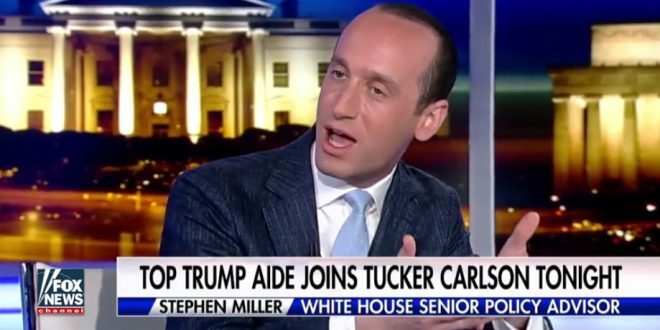 The extreme media is going to do whatever they can to tear down this president, but as long as the people stand for what they want and what they believe, we are going to keep winning.” – Trump advisor Stephen Miller, speaking last night on Fox News.